The set includes an Eye Wash Bottle and a 500ml bottle of Saline. 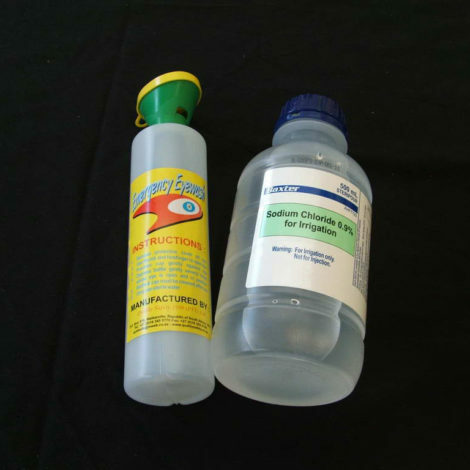 The eye wash bottle is used with the Saline solution for washing out eyes. The bottle is reusable and the cap must be cleaned thoroughly after each use. Saline is used for flushing and rinsing eyes and can also be used to wash wounds. It can relieve eye irritation due to pollen and dust particles. Used for Irrigation and not for injection.